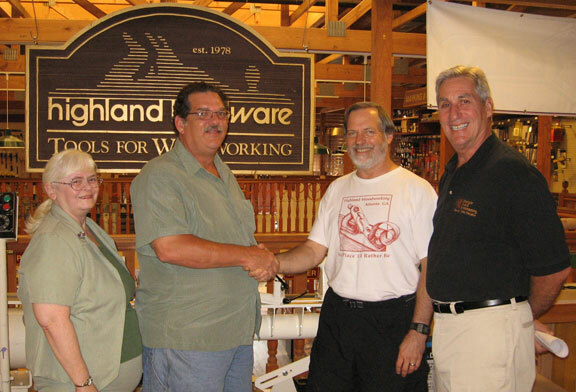 Congratulations to Chris Craft, whose name was picked in our drawing to visit the Ask This Old House video shoot last week. 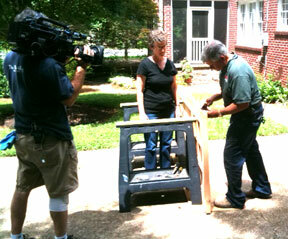 Chris and his wife Carol spent an hour watching This Old House contractor Tom Silva demonstrating installation of hinges on a custom door at house in Decatur, Georgia, not far from Highland Woodworking. Afterwards they got to join the TV crew for their catered lunch, and had a chance to leisurely chat with Tom and the other crew members. Incidentally, there’s still time to enter our Stanley Sweetheart Sweepstakes to win a set of 11 Stanley Sweetheart tools. CLICK HERE and enter as many times as you like. Last Days of the Stanley Sweetheart Giveaway: Enter Now!